The big news this week was on two key prices. One is the price of the almighty dollar, and the other is the price of petrol (or diesel). These two are the most important price signals in the economy. And both are of imported items. India has a huge shortage of oil since domestic supplies meet barely one fifth of our requirement. We also have a perennial shortage of dollars, because what we can earn through exports is not enough to meet the needs of our imports. Other countries like Thailand, China, Malaysia have surplus dollars, since their exports exceed imports. Many of these countries started on par with India in terms of their exporting prospects, some 30 years ago. So, it is not as if we could not have planned better, to be not so pressed with a dollar shortage always. Similarly, many large countries have increased their domestic oil resources through exploration and development. The USA has now become the largest producer of crude oil ahead of Saudi Arabia and even Russia. India has large untapped reserves of oil and gas, which will take years to come to market. Until then, we live with an oil and dollar shortage. Ironically, our dollar shortage arises out of oil shortage, which is why the need to import. This year the import bill on oil alone may exceed 120 billion dollars, so a slide of the rupee-dollar rate from 68 to 72 means an excess bill of Rs 48,000 crores. Is the Pak Army attitude to India changing? 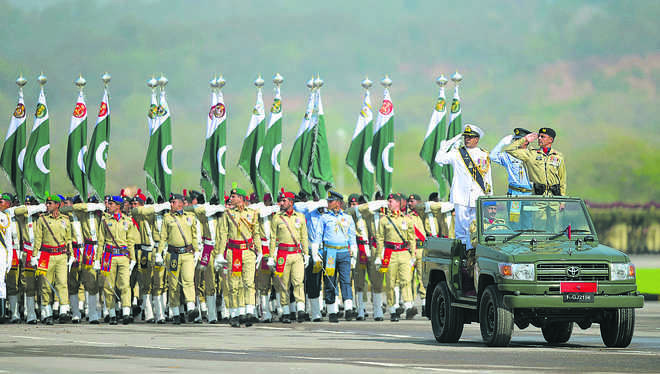 Two minor generational differences have emerged in the Pakistan army in the past five years, one on threat salience and another on dealing with India. Nevertheless, a growing number, estimated by some students (officers) to be as many as 60 per cent, have begun to view Pakistan-focused militant groups as a more significant threat than India that must be addressed as a priority in short term. The single bright spot in a dismal litany of conspiratorial conjecture was thought by some students to be a subtle change in recent thinking about the centrality of the military threat posed by India compared to growing internal security threats from the plethora of extremist groups in Pakistan. The 2009-10 student perceived a “generational divide” on this issue, with the senior officers and DS having a clear anti-India bias and younger officers being “the complete opposite.” This attitude was even more prevalent among the small numbers of Pakistan Air Force and Pakistan Navy students at the Staff College. Junior and mid-grade Army officers, particularly those who had served in the Federally Administered Tribal Areas (FATA), tended to view terrorism as a much more immediate threat to Pakistan than India. According to "Augmented Human Enterprise" -- an academic study conducted by Goldsmiths (University of London) and enterprise software provider Automation Anywhere -- 71 per cent of Indian respondents said their employees used RPA and AI-based augmentation to its full potential -- the highest proportion for any of the four markets surveyed. While 66 per cent Indians said that they are empowered to take risks, 77 per cent said that their organisation prioritised employee development. India also outscored other markets on employee engagement and (with an impressive 84 per cent) on employee listening. "Think of the human body breathing. It's a complex and critical mechanism but automated so our brains are freed to power everything else we do. I think for many organisations, all they can do is 'breathe.' It's so impor ..
U.S, India sign military accord as Pompeo and Mattis hail strong partnership in New Delhi meeting, 6 Sept 2018 The United States and India signed a major military communications agreement Thursday during a visit by Secretary of State Mike Pompeo and Defense Secretary Jim Mattis to New Delhi, highlighting the growing partnership between the two nations as they seek to manage a rising China. The agreement, which had been under discussion for more than a decade, will allow India to receive military-grade communications equipment from the United States and permit the exchange of real-time encrypted information on platforms used by the Indian and US armed forces. Occasionally, very occasionally, a relatively brief and unexpected comment throws unexpected light on what drives a policy. It can also highlight its severe limitations, and lay bare what is generally left unsaid or is deliberately obfuscated. US National Security Adviser John Bolton’s response to a question about America’s Pakistan policy did exactly this just two days ago. Bolton addressed the Federalist Society in Washington DC on September 10 on the topic of the International Criminal Court’s request for permission to investigate some US defense and intelligence personnel for “alleged war crimes”. During the question and answer session that followed his speech a Pakistani journalist asked a question unrelated to the ICC. Instead, he asked about Imran Khan’s election and the suspension of military assistance to Pakistan. With China’s Belt and Road Initiative (BRI) coming under increasing global scrutiny, major aspects of the country’s international role, investments, and activities have drawn a lively debate. From Sri Lanka to Malaysia, questions are being raised as to how the “project of the century” is shaping the economies of host countries. 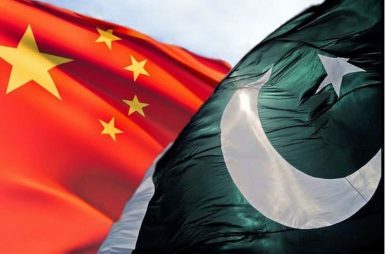 It is within this context that the Pakistan-China relationship has become a subject of newfound interest. After all, the “flagship project” of the BRI is the China-Pakistan Economic Corridor (CPEC). Indonesia, the world’s largest Muslim nation, has long stood as a role model for religious pluralism. That’s changing. Political Islam and violent extremism have been taking root in society and may soon do so in the government. President Joko Widodo’s choice of Ma’ruf Amin, a 75-year-old cleric, as his running mate in next year’s election marks an ugly turn for Indonesian politics. Religious minorities had regarded Mr. Widodo as their defender. His rival, retired general Prabowo Subianto, was expected to play the religion card, questioning the incumbent’s Islamic credentials and building a coalition supported by radical Islamists. By choosing Mr. Amin, the president’s defenders argue, he not only has neutralized the religion factor, but might have prevented it from spilling over into violence against minorities. In office, they believe, Mr. Amin will be contained. Yet Mr. Subianto is unlikely to be deterred from playing identity politics, and rumors that Mr. Amin is reaching out to radical Islamists for support are troubling. Mr. Amin has a history of intolerance. He signed afatwa that put a Widodo ally, Jakarta’s former Gov. Basuki Tjahaja “Ahok” Purnama, in jail on blasphemy charges. Ahok, who is Christian and ethnically Chinese, was a symbol of Indonesia’s diversity, and as a popular governor was expected to be re-elected. Instead he lost after rivals told Muslims not to vote for a non-Muslim…Read on. Addis Ababa will drum up foreign investment by trying to privatize key state-owned industries, but it will continue to grapple with the economic slowdown caused by its foreign exchange shortage. Peace between Ethiopia and its once bitter enemy Eritrea will be a windfall eventually for both sides in terms of regional stability, trade and foreign investment. Chinese interest in large-scale projects in Ethiopia is waning, but the United Arab Emirates appears intent on deepening its investments there. The fact that the current trade spat is about more than economics will make it much harder to manage. While China might be able to avoid a devastating trade war in the short term, the long-term trajectory of US-China relations is almost certain to be characterized by escalating tension, and potentially even a full-blown cold war. CLAREMONT, CALIFORNIA – For most observers of the unfolding trade war between the United States and China, the casus belli is the convergence of China’s unfair trade practices with US President Donald Trump’s protectionist credo. But this reading misses a critical development: the demise of America’s decades-long policy of engagement with China. 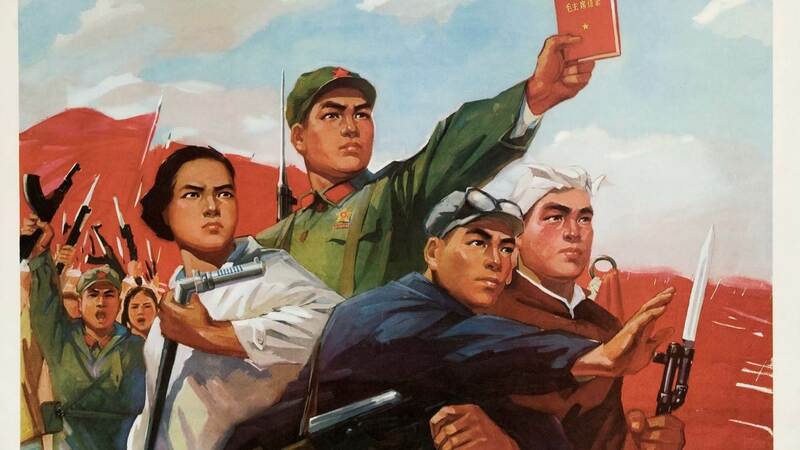 In recent years, China’s People’s Liberation Army has undergone a massive modernization effort that has sought to not only expand their military presence around the world, but also to serve as the military backbone behind a broader diplomatic initiative. China wants to dethrone the United States as the most prominent super power on the globe, and in many respects, it’s well on its way. The Belt and Road initiative, for instance, will ensure China’s role as a central trading hub for the planet, while the loans it continues to offer to developing nations in the pursuit of that initiative continues to grant them leverage over national governments. China’s first military installation beyond its own borders was established in Djibouti, Africa last year, with others likely in the coming years. China’s banking system is under pressure as regulators attempt to reduce risks stemming from shadow banking and excessive corporate leveraging. The US–China trade war is adding to this pressure by threatening to further slow growth. The Chinese government is in a bind since its go-to methods to stimulate the economy are among the main causes of this current headache. 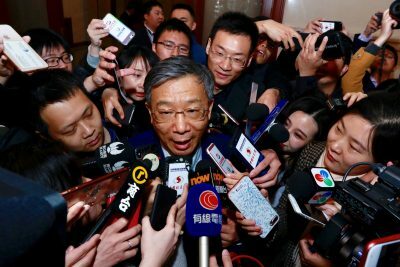 China’s central bank has stressed that it will stay on a course of prudent and neutral monetary policy, while ensuring that there is sufficient liquidity in the financial system. Keeping financial risks at bay is a major aim. In other words, it is unlikely that the central bank will inject a large amount of funds into the economy, but rather just enough to maintain policy targets. The never ending disputes over a semi-enclosed sea, the South-China Sea (SCS) was culminated in the consensus between the Philippines and China in bringing the case before the Permanent Court of Arbitration (PCA). While the PCA under the United Nations Convention on the Law of the Sea 1982 (UNCLOS 1982) ruled in favor of the Philippines and declare that China’s nine-dash line claims are illegal, China has asserted that they will not obeys the final award of the PCA. This paper seeks to analyze legal implications upon China’s refusal on PCA’s award to Indonesia’s border security over the waters around Natuna Islands. It further proposed what should be done by Indonesia in anticipating both legal as well as political consequences of such assertive reaction taken by China. A U.S. federal investigation has shown that Pyongyang has been planning its cyberattacks far in advance, typically with the aim of stealing money rather disrupting its enemies. North Korea and others rely on invasive surveillance to increase the potency of their attacks, yet such action increases the chances that hackers will be detected ahead of time. Investigations into hacking can force assailants to alter their tactics and operations, but they are not enough to stop them outright. 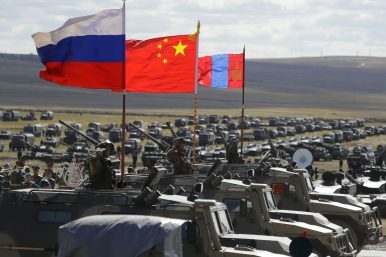 For the first time since the end of the Cold War, the Pentagon has a genuinely new strategy: Focus on our rivals — Russia and, in particular, China — and maintain a competitive advantage over them. Defense Secretary Jim Mattis warns in his 2018 National Defense Strategy that if we fail to do so, we may lose the next big war against these nations. If that happens, say goodbye to the free and open international order the United States has built and upheld since the 1940s. AFA: The Trump administration has ended Obama-era micromanagement of military cyber operations, but the result won’t be a free-for-all, a one-star general said today. The White House has replaced the Obama-era process, not simply revoked it, and the Joint Staff is now working out the details of delegating select, prescribed authorities to Cyber Command, said Brig. Gen. Alexus Grynkewich, deputy director for global operations on the Joint Staff. Ten years after the onset of the global financial crisis, one of its most under-appreciated legacies is the strong U.S. embrace of multilateralism to address growing financial interlinkages around the world. U.S. leadership and engagement at international meetings like the G-20 and at institutions like the IMF proved crucial in crisis response ten years ago. While current “ten years later” pieces are largely focused on the domestic legislative and regulatory response, the crucial role played by U.S. multilateral leadership and engagement should not be forgotten. As the Trump administration considers how to balance its America First doctrine with continued global engagement, it is worth remembering the events of 2008-2009 and its lessons. Late Monday, President Donald Trump announced tariffs on “roughly $200 billion of imports from China.” These tariffs are on top of the ones imposed this summer on $50 billion of products from that country. The new round of tariffs go into effect September 24 at the 10 percent rate. The rate jumps to 25 percent on January 1, 2019. The latest round of tariffs took observers by surprise. Many thought Trump would not impose the second round of tariffs until after a Chinese delegation concluded negotiations in Washington, scheduled for September 27 and 28, or until after the November midterm elections, especially because Beijing recently issued threats. Stephen Quake, professor of bioengineering and applied physics at Stanford University and copresident of the Chan Zuckerberg Biohub FEW THINGS TROUBLE me as much as the fact that many cutting-edge medical advances aren’t available to everyone who needs them. Many lifesaving procedures require specialized equipment and trained technicians. 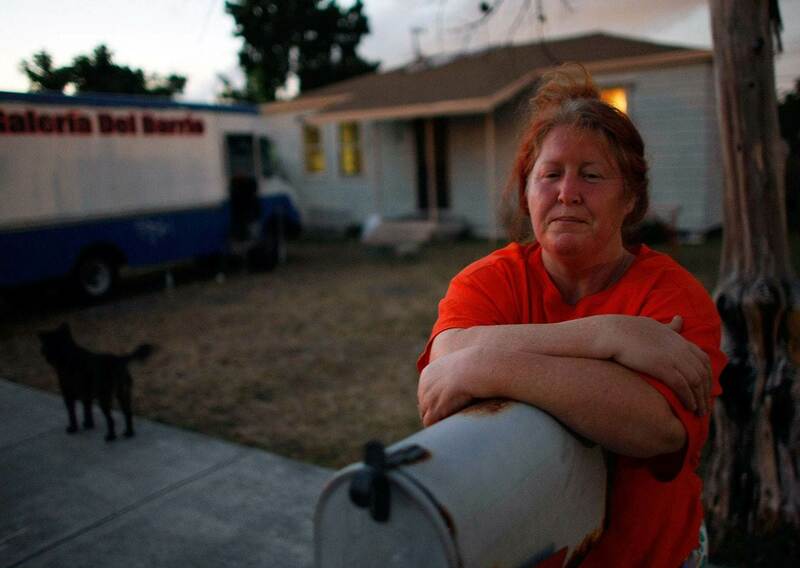 If you don’t have a lot of money or live near a major hospital, you’re out of luck. Stephen Quake wants to change that. By sampling the small amount of genetic material that circulates in the bloodstream, he’s replacing invasive, often painful procedures with cheaper, easier blood tests. He’s built a career out of turning highly specialized procedures into something simple that can be done anywhere, including the most remote places in the world. Google CEO Sundar Pichai has written to Union IT Minister Ravi Shankar Prasad that free flow of data across borders will encourage start-ups to innovate. “Free flow of data across borders — with a focus on user privacy and security — will encourage start-ups to innovate and expand globally and encourage global companies to contribute to India’s digital economy,” Pichai said in a ‘thank you’ letter to the Minister of Electronics and Information Technology, who had visited Google’s headquarters in California recently. BusinessLine has seen the letter. Pichai’s demand is not that of Google alone, but of most tech companies worldwide, as restricting data within a country would mean lesser revenues. The AI revolution will bring short-term pain before long-term gains. If that pain occurs against a backdrop of frustration with the unequal distribution of AI's benefits, it may trigger a backlash against technologies that could otherwise produce a virtuous cycle of higher productivity, income growth, and employment-boosting demand. BRUSSELS – Like any transformative trend, the rise of artificial intelligence (AI) poses both major opportunities and significant challenges. But the gravest risks may not be the ones most often discussed. For those of us who were in the Pentagon when it was attacked, the weeks around the 9/11 anniversary are always a blue period. The costs of the attack that took the lives of 3,000 people in New York, Pennsylvania and Washington, D.C., have been compounded by the wars in Afghanistan and Iraq, with nearly 7,000 U.S. dead, 53,000 U.S. wounded, 1,400 allied dead, and over 200,000 dead indigenous civilians and soldiers in those two countries. For many in the Armed Forces, the 17 years of the “Long War” have become an abiding focus of their lives. For our soldiers, it is now possible to die on your 13th deployment to a combat zone. We must adapt our policies to ensure that this doesn’t become a Forever War.